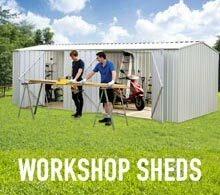 Buy Sheds Online And Save At Simply Sheds. 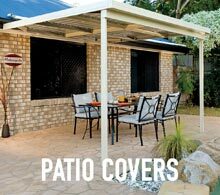 The classic Australian shed goes with an Aussie backyard like a meat pie goes with sauce. 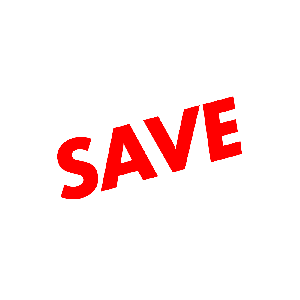 We pride ourselves on having the largest ranges at the absolute lowest prices. 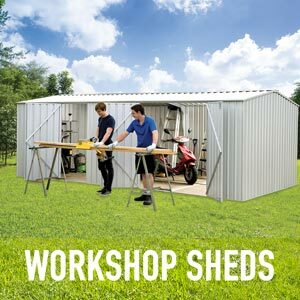 So whether you're looking for a garden shed for the backyard with a little extra storage space to hold your favourite mower, a workshop to double as a man cave and your hideaway from home... or something just to store your tools in we've got you covered. We don't do the big custom stuff like some others do, we stick to what we are good at, and what we are good at is garages around the 6x6 mark. 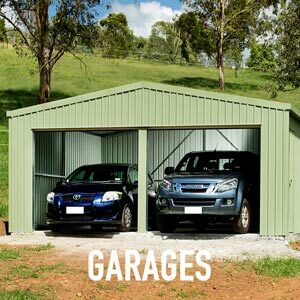 Since we stick to the smaller garages, we are able to focus is on sourcing, and supplying kit garages at the absolute best prices we can (To the point that if you find a better price and we can't beat it, the product is free!). Need a place to put your car/boat/truck/husband (ok we're just kidding on that last one, we don't recommend you do that! 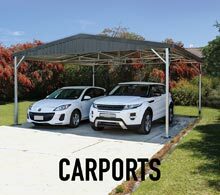 Then a single or double carport might be just what you are looking for. 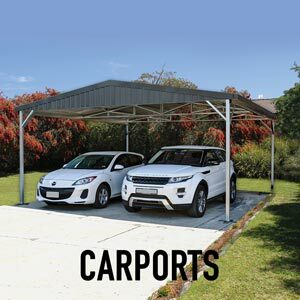 Not quite a garage, but most definitely suitable to keeping things dry, a carport is a great addition to any home look to keep something out of the weather, without having to pay through the nose. 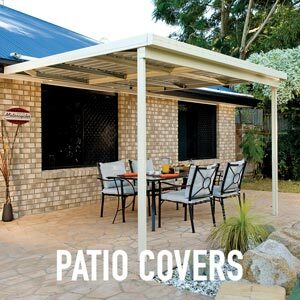 The sun is setting, the barbie is cooking, and you're enjoying a cold one sitting under your new patio cover. This is what every weekend should look, sound, and smell like, a setting that let's you unwind and relax from the stresses of the week. With both zincalume and colorbond patios coming in two sizes, a 3x3 and 3x6, we can help make this become a reality for you. 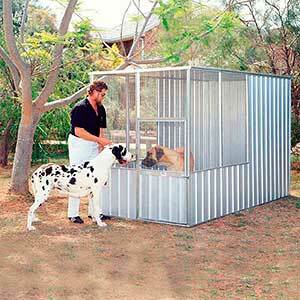 The aviaries we've sourced, are just amazing. 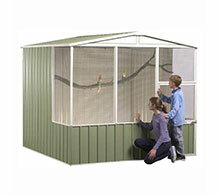 We specialise in aviaries that are under the 3m mark, and you'll find quite a large selection to choose from. Our most popular by far are our 3m x 2.26m aviaries, but we have a range of sizes that will suit most types of birds/chickens you may be looking to house. 3) Import Cheap #&!% - as an Australian family owned business, we always try to support other quality Australian brands. Australian made is the way we go everyway we can. 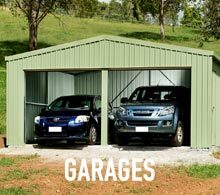 We're a family owned business that wants to help other Australians buy quality Australian made sheds. 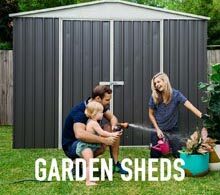 You can check out our 7 reasons to choose Simply Sheds here. 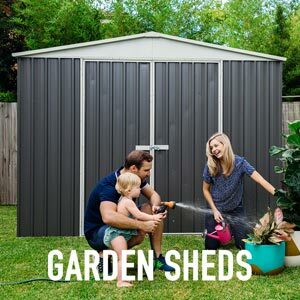 Our garden sheds and other ranges are available all around Australia, however the majority of our clients are usually in the major cities, Brisbane, Sydney, Melbourne, Perth and Adelaide, but we still service the regional & rural QLD, NSW, VIC, WA and SA as well, and we can home deliver anywhere in Australia or we can ship your shed to one of our many depot locations for you to pick locally completely free.